Growing up in the 1970s, I have to say that we had our fair share of crazy, geometric-patterned wall paper around the house. The colours brown, beige, orange and yellow come to mind, inevitably floral, swirling or hexagonal and kaleidoscopic. 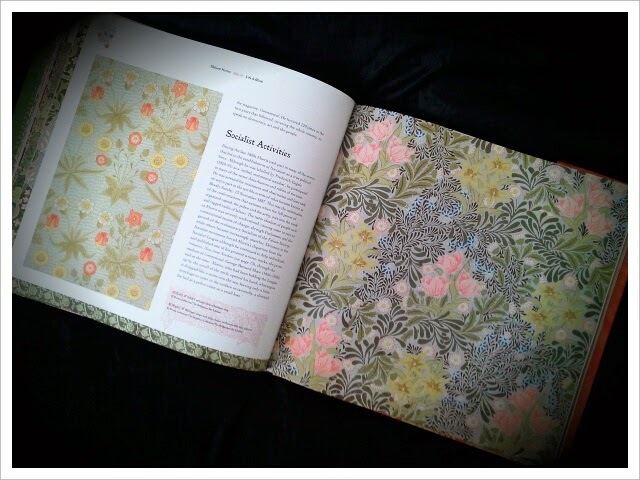 I have to say that it was enough to turn me off wall-paper and complicated patterns completely, for a few decades. 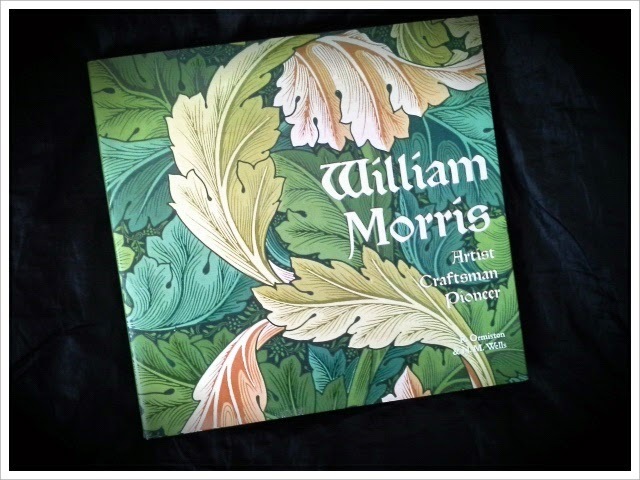 Yet, how then can I explain my love for the work of William Morris, the master pattern designer of the Victorian age? I suspect, like many others, I am drawn to his work by the richness of colour and simplicity of form; every pattern pulls you in and holds you transfixed. So, when I found this copy of ' William Morris - Artist Craftsman Pioneer' by R. Ormiston & N.M. Wells', I was compelled to add it to my book collection; I simply could let let it out of my sight. beautiful place. In this book, it is clear to see that he fulfilled that goal. The book deals with all of the things that inspired Morris, history, nature, poetry, art and social change. Each page is covered with rich reprints of his designs, while at the same time, explaining his ideology and technique. 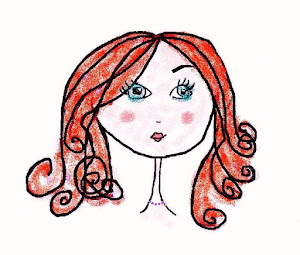 As such, it is the perfect combination of biography and portfolio; something to satisfy your mind and eye at the same time. 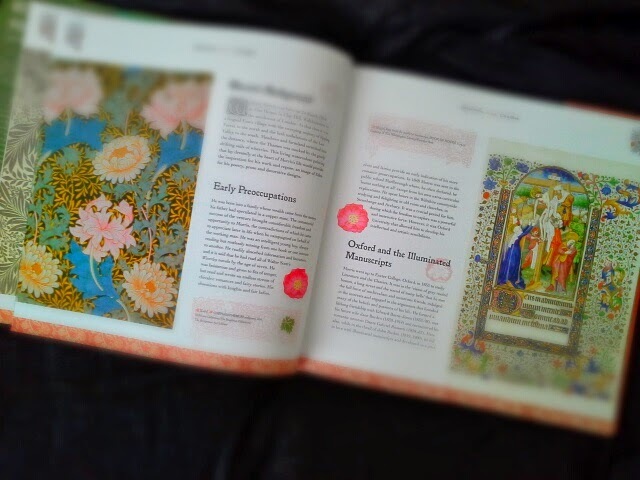 Working in an organic chronological way, the book follows Morris's many interests and new directions, every time supplying a visual aid to accompany the text. If nothing else, this book will remind you that there is colour in the world and that simple patterns are things of great beauty. It has certainly cured me of my horror of wallpaper: even those overpowering 1970s patterns seem a little more appealing to me me now. In his lifetime, Morris wrote over 90 books - so he deserves a place among the other authors in my book blog - if not for his writing, then for the many beautiful ways he patterned a page, a cloth, a tile, with colour and style. 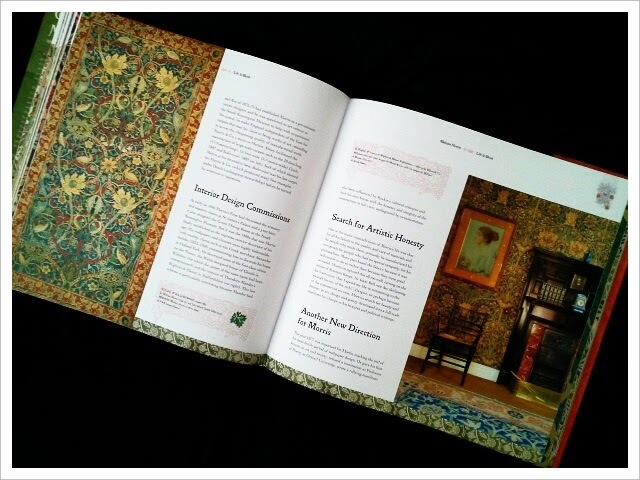 'Have nothing in your house that you know to be useful or believe to be beautiful,' William Morris once famously said. Well, then, I know that he would have been very pleased with this sumptuous hardback, created by Ormiston and Wells, as it succeeds perfectly on both counts. 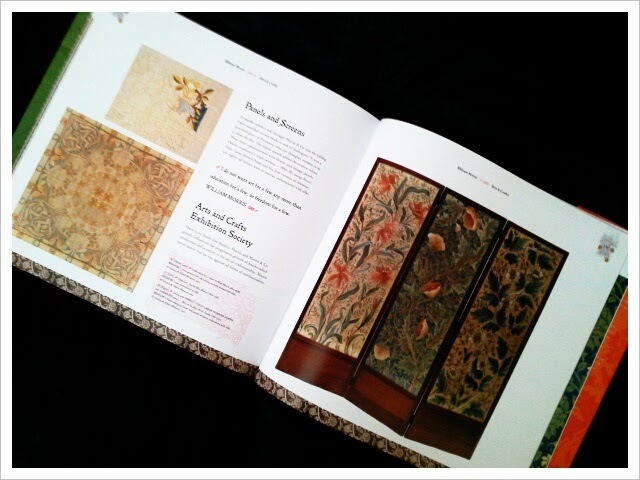 know someone who enjoys arts and crafts, art history, or just simply loves to look at beautiful books, then this would make a wonderful gift for them. And if not - then you may very well have to keep this book for yourself. I predict you will not be able to part with it once you see it with your own eyes. It may even set you re-imagining your childhood, making everything suddenly seem beautiful - well perhaps that is a step too far even for William Morris.